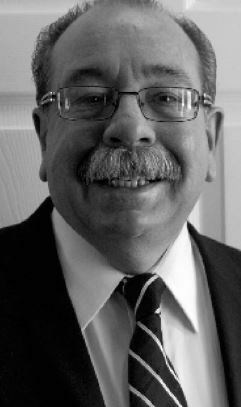 Luciano V. Sclafani, Jr., Gus Sclafani Corp. The Processed Foods Section of AFI was once again the primary beneficiary of the association’s work to get temporary duty eliminations and reductions on several imported products. The effort is done through the Miscellaneous Tariff Bill, a huge bill containing proposed duty suspensions on thousands of products. It appears once again that the only food products included on the bill came about through the efforts of AFI. Through the MTB, requests are made for temporary duty reductions or eliminations on products where there is little or no domestic production. Essentially, the MTB allows for a reduction in duties collected for each Harmonized Tariff Schedule number submitted of up to $500,000 per year. So every time AFI is successful in getting items included on the MTB, we’re eliminating up to $1.5 million in costs from the system for each of those HTS numbers over three years. It’s a process that’s supposed to take place every three years, though Congress has not always kept to that schedule. To try to address that, the MTB process was altered a bit this time around, so there are some changes in how things are handled. However, our advisors at Sandler, Travis & Rosenberg capably guided us through the process and informed us recently that no domestic producers raised any objections to the products proposed by AFI. That means that if all goes as planned, duties will be reduced or eliminated for a three-year period beginning late this year on several products handled by AFI members, including canned artichokes and pepperoncini. In addition to U.S. importers, producers in Spain and Greece are to be commended for their contributions to this work. Their participation should pay off handsomely. This is a clear example of how beneficial membership can be. Food companies outside of the AFI membership likely did not even know about the opportunity to get the duties lowered. It’s possible companies will lose out on millions of dollars of duty savings simply because they didn’t know to ask. Then there are members who didn’t pay enough attention to the information sent out by the association and didn’t take the steps necessary for the association to petition for duty reductions on products they handle. Whether it’s AFI or any other association, the best way to get the best value for your membership dollar is to participate. Another example of the importance of participation will come shortly as work begins on renewal of the Generalized System of Preferences program. As the year progresses and Congress begins to discuss renewal, it will be important and in members’ best interest to make their voices heard. Within AFI, Processed Foods Section members are impacted most by GSP; we’ll need to take the lead to make sure the voice of the food import industry is heard. We may also be faced with another round of retaliatory duties as a result of the never-ending beef hormone dispute. The U.S. Trade Representative conducted a hearing in February to discuss the issue and products that might end up on a list of imported products from the European Union subject to punitive duties if the EU does not change its policies regarding hormone-treated beef products. AFI will keep members apprised of any future developments. Of course, the Food Safety Modernization Act is a major issue for every company in the food business, including members of AFI’s Processed Foods Section. Manufacturers of food that’s going to be sold in the U.S., whether it’s produced in the U.S. or abroad, must meet food safety requirements set by FSMA and U.S. importers must be able to document the food they are importing meets those food safety requirements. The FSMA regulations are thousands of pages long. In addition to providing us ongoing guidance on the requirements, AFI developed guides to help us comply and continues to offer training. FSMA represents a fundamental shift in regulation of food products. It’s not going away and is something we all have to deal with. It’s not too late to become educated on FSMA. I encourage everyone to check the AFI website (www.afius.org) to view the latest training opportunities.